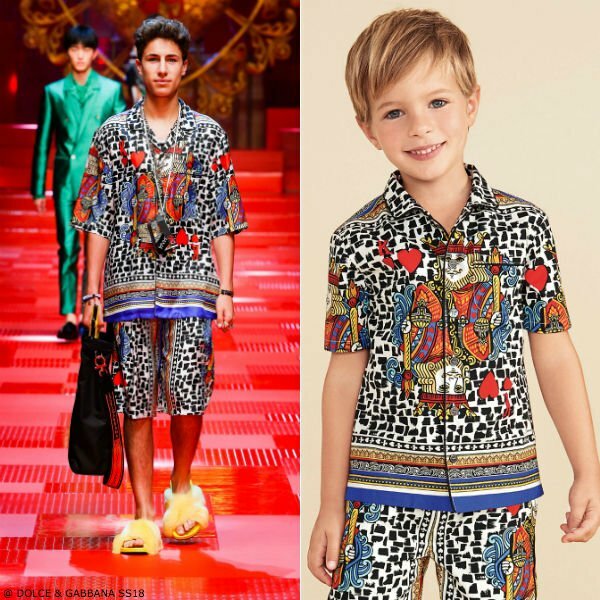 Love this DOLCE & GABBANA Boys Mini Me King of Hearts Shirt & Shorts. 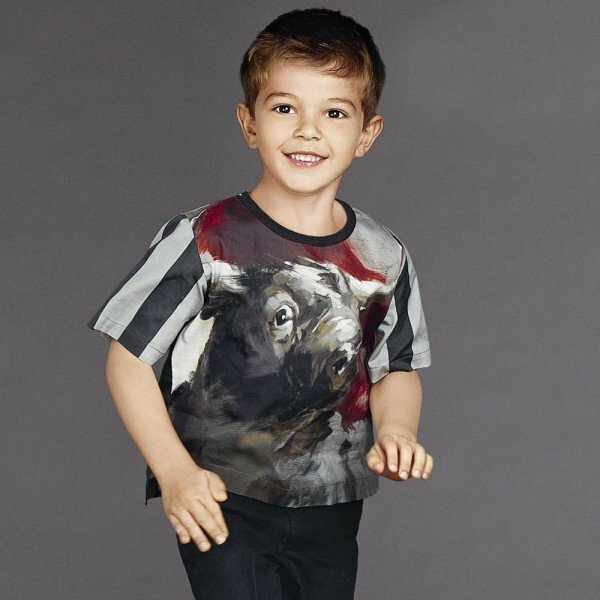 Inspired by the D&G Men’s Spring Summer 2018 Runway Collection, this boys short-sleeved shirt features an exclusive colorful print includes black brush strokes and a red King of Hearts print. Complete this super stylish boys streetwear look with a matching pair of DOLCE & GABBANA Boys King of Hearts Shorts.